Innosys Inc. offers its customers a wide range of software solutions that aim to provide your company with a set of powerful functions to effectively and efficiently manage your business. Our Supply Chain Management System (SCMS) is one such solution. Its aim is to provide management and its employees with the tools needed to manage their assets, purchasing and inventory information. This software is versatile and can be configured to meet the specific needs of any company in any sector be it banking, medical or forestry. The system greatly increases the speed and accuracy of the information retrieval process, the durability and availability of all Inventory reports, and reduces the current storage space of physical records. 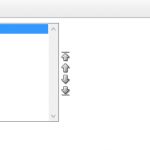 The modules and functionalities of this software are outlined below. 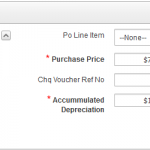 A request to purchase is initiated by an organization to notify the purchasing department of items it needs to order, the quantity and the time frame for completing the order. 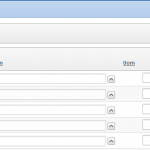 Requests for items are then routed for approval via a workflow functionality that is in place. 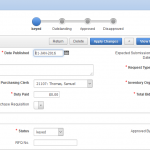 • The distinct benefit of allowing a requisition to be approved in different stages by multiple approvers. 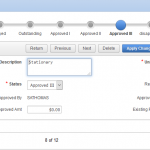 • There is a workflow for the approval process for purchase requisitions and notifications are sent automatically. A request for quotation is a standard process whose purpose is to invite suppliers to bid on specified items. Every request for quotation (RFQ) will be linked to a request to purchase (RTP). Request for quotations from a number of suppliers registered with your organization using the approved supplier’s listing. This will not be valid where there are agreements governing single sourcing. 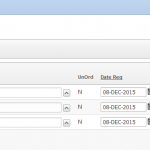 Collect quotations within specified period or at a specific date to conduct quote evaluations. Select suppliers based on your organization’s procurement policy, enter these into the system manually or upload an attachment if emailed. Confirm final selection of supplier. Auto notify supplier of selection if email exist. A quotation is the statement provided by the potential supplier to supply the items specified on the RTP. Details surrounding the costing will be entered here. Quotations can also be electronically uploaded. 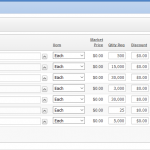 Prices can be easily compared once all quotations are uploaded/created. The quotation is linked to the RFQ. 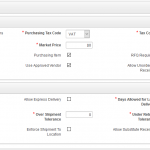 Uploading or manual entry of supplier’s quotation received for the request. 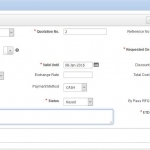 A purchase order (PO) is the document issued by the buyer to a supplier, indicating the quantities, and agreed prices for the items listed on the quotation. A PO is linked to a quotation. 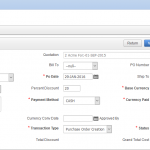 Automatic creation of purchase order from quotation details maintaining the sequence of documents used. That is, a direct linkage will be made to the specific quotation/s. Inventory management is the overseeing, controlling, storage and use of components acquired by an organization. SCMS keeps a detailed record of all such items which helps to eliminate mismanagement and decrease financial problems. 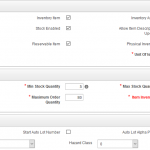 All items that an organization will keep in stock will be part of the inventory database. 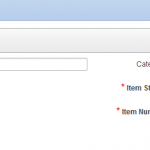 These items are logically categorized into one group called inventory item. 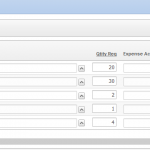 The asset register would facilitate the tracking of assets and would provide an estimate of their worth. It meets your accounting, statutory and sale-of-business obligations. 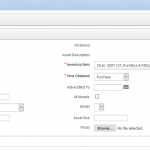 It is also an appropriate place to record serial numbers, models, brands and additional attributes an asset may have.